So I was walking through Staples the other day and I saw the Toshiba Thrive on display. It has a 10.1 inch screen so I decided to take a look. Priced at $400 I wasn’t expecting it to have the responsiveness of the ipad, but it really did. 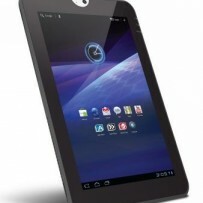 I would seriously put this on my possible list for tablets because of the price and responsiveness. However, I hear that ipad may be putting out a model priced at the same range, so I may just wait a little longer and see if that rumor is true. So I didn’t wait because Woot! had a sale on 32 gig thives. I picked one up from there and really like it. I may post a short review of it someday.